At airports and landing fields around the world, noncommercial hangar and service facility managers are being challenged to do more than just house multi-million-dollar aircraft or deliver increasingly complex maintenance check-ups. They are also tasked with maintaining the physical appearance of these facilities to enhance the company’s image and enrich the customer experience. The concept is hardly new at Million Air, a luxury fixed-based operator (FBO), which has placed a high priority on the upkeep and appearance of company assets such as hangars and service facilities for more than 30 years. Headquartered in Houston, Texas, Million Air provides charter, maintenance and other services through a network of independently licensed FBOs in the U.S., Canada and the Caribbean. 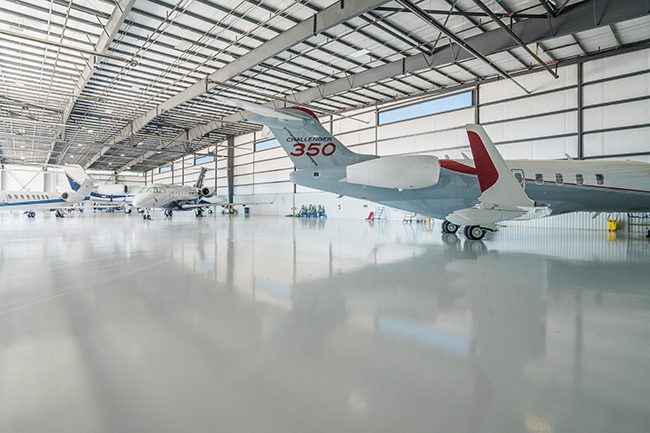 A case in point involved the Million Air FBO at Addison Airport in North Dallas, Texas, where hangar floors needed resurfacing after an existing coating system had failed last year. 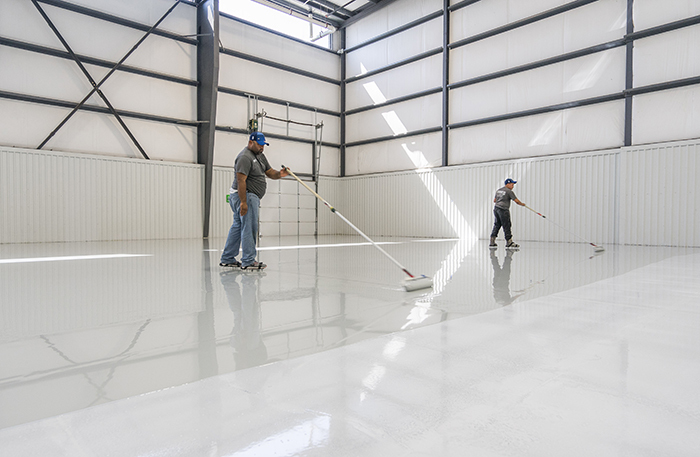 The owner reached out to an airport managers group on LinkedIn to ask for coating recommendations, which led him to the StrataShield line of seamless, resinous flooring systems from Tnemec Company, Inc. The Million Air project consisted of two 12,000-square-foot hangars and one 38,000-square-foot hanger. During a visit to the hangars, Bailey and the operations manager with coatings contractor, T.W. Hicks, gauged the scope of the project that included removal of the existing coating system that had failed. T.W. Hicks discovered cracking in both smaller hangars and hairline cracks over much of the concrete surface in the large hangar where he also found a partially finished coating system that had been applied by another contractor. According to the contractor, only half of the large hangar had been coated when Million Air informed them that the quality of work was unacceptable. The problem was due, in part, to an inferior product and improper application. Based on the evaluation, Bailey recommended a three-coat system that consisted of a penetrating epoxy primer, a flexible epoxy basecoat and a chemical-resistant polyurethane finish coat mixed with glass beads. The coating contractor prepared mockups of the coating system in the shop, as well as in one of the hangars, to demonstrate its performance and aesthetics. T.W. Hicks followed Series 206 with a topcoat of Series 291 CRU (chemical-resistant polyurethane). Series 291 was recommended based on its excellent resistance to grease, oils and aviation fuels that can cause blemishes easily visible on hangar floors. The extremely hard coating also provides outstanding color and gloss retention.